Boba Fett and Slave 1 can now be a beautiful piece of artwork on your wall! 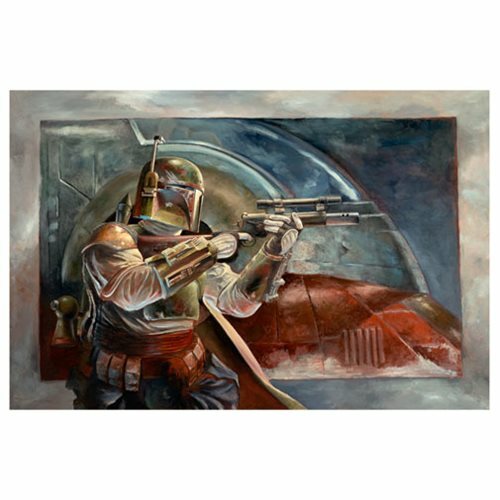 This Star Wars Boba Fett with Slave 1 Canvas Giclee shows the infamous bounty hunter with his gun at the ready, Slave 1 sitting behind him. A limited edition of 95 hand-numbered pieces, this awesome giclee has been printed on canvas and signed by the artist, Lee Kohse! Measures 24-inches wide x 16-inches tall.